Delicious!!! Sort of a cheat meal-10 on the scale of 1 to yummy, 6.5 on the scale of 1 to healthy! Enjoy!!! 3 tbsp parmesan cheese, 2 tbsp italian breadcrumbs and 1 tbs of chopped parsley-used as the topping halfway through the baking process. 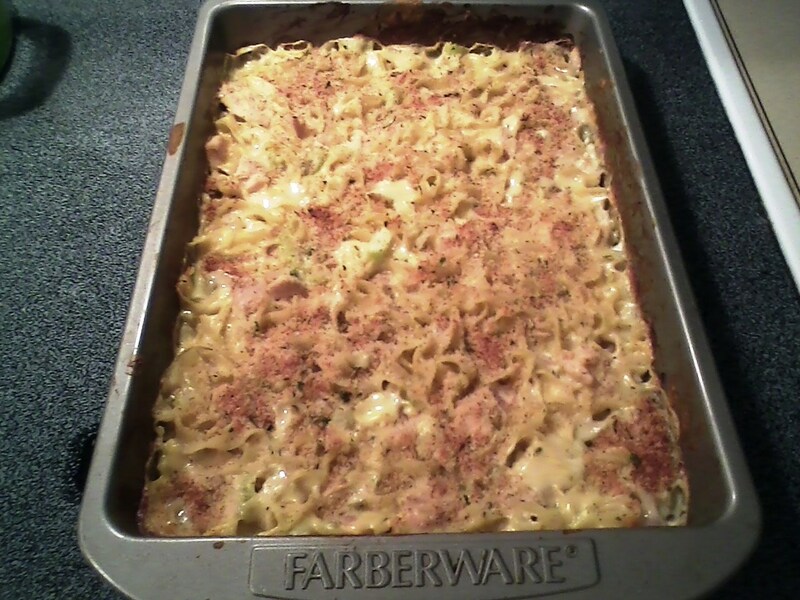 ****Cook noodles about 3 or 4 min shy of directions on package and pour into casserole dish with all other ingredients-give them a big stir around before placing in oven. Bake at 350 for 20 min, give the entire thing a big stir and top with parmesan, parsley and breadcrumb mix-bake for 15 more min. Let cool for 5 min and serve with a beautiful side salad! Posted on October 3, 2012 November 12, 2012 by awesomelikeadriennePosted in Eat, HOMETagged dinner, easy, recipes, tuna.